If you thought Environmental Awareness training only existed to benefit the environment, you’d be wrong! Of course, the main purpose is to reduce our impact on the planet, but there are many benefits for businesses to enjoy, too. In fact, most organisations that go through environmental awareness training find that it is a very useful tool for sustainably building their business, and encouraging more customers. One of the biggest benefits organisations of any size can enjoy is peace of mind. By putting yourself and your team through environmental awareness training, you are more likely to implement an ISO Environmental Management System and seek certification. The system, and the certification, ensures that your organisation is aware of all relevant legislation, and is complying, minimising the risk of prosecution and fines. As any business owner will know, life is full of rules and regulations these days and it can making running an organisation quite hard. Reducing or removing the risk of getting it wrong is a huge benefit. Another very welcome benefit of undertaking environmental awareness training is financial savings. True, some good environmental practices cost a bit to set up, but after that, you will most certainly experience great savings. For example, reducing your waste and energy usage will also reduce your costs, as well as helping the environment and boosting your reputation. An easy way to reduce your waste is to increase recycling. And why not encourage staff to bring in their own refillable coffee mug, instead of using disposable cups. As for energy use, this can be improved by having your lighting on separate systems, so unused lights can be switched off, without affecting the whole building. And obviously going solar is a great initiative – if you can manage the upfront cost of installation – as it also offers the possibility of making money, too. Consider implementing some form of rainwater collection system – if nothing else, this can be used for flushing toilets and irrigation, reducing both usage and cost. And going paperless is another great initiative, especially as the majority of your customers would probably prefer that. If your organisation requires employees to drive, perhaps you could consider a hybrid vehicle. While presenting a cost upfront, it will save you money in the long run, help the environment and, again, boost your reputation as a caring and responsible business owner. A great way of implementing environmental changes, and ensuring that your customers and partners are aware of your actions, is to team up with other eco-friendly organisations or community groups. Perhaps invite a school group to tour your premises and run a competition for the best environmental management suggestions. Boost your recycling efforts and find out if any local groups can benefit, in terms of refunds or materials. Ensure you get the full support of your employees by involving them at all stages, and inviting feedback and ideas. Perhaps offer a prize for the best water or energy saving initiative. Depending on the size of your organisation, staff can be kept abreast of what’s happening at weekly meetings or internal newsletter. You may find that some staff want to get more involved in the process than others, so consider sending some for internal environmental auditing courses or EMS Lead Auditor training. While there is a cost involved, you will more than recoup that through the increased knowledge and motivation that training brings. Of course, the main business for any organisation is making money and to do this, you need to establish a point of difference from your competitors. Environmental awareness training can do just that. Once you start achieving real results, make sure your customers know. You might change your branding and packaging to reflect your newfound environmental awareness, or start a regular email newsletter informing your client base of your achievements. The biggest advantage will come when you decide to implement an ISO Environmental Management System and seek accreditation. ISO 14001 Environmental Management is recognised worldwide and, with certification, comes the right to include the ISO 14001 brand on your packaging and marketing material. 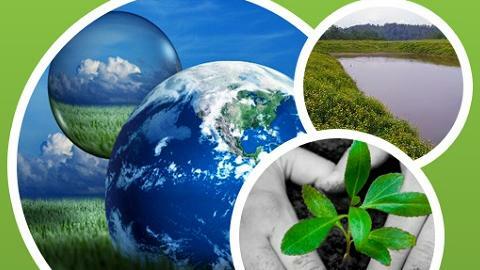 Those organisations that undergo environmental awareness training find ISO training and implementation much easier, as they already have many of the systems and policies in place. ISO 14001 then becomes a matter of simply formalising those procedures, and regularly checking and updating them. A key part of ISO 14001 is internal and external audits – hence my recommendation that you consider internal environmental auditing courses or EMS Lead Auditor training as part of the environmental awareness training program. With these key personnel in place, the journey towards Environmental Management System implementation and accreditation will be quicker and easier, enabling your organisation to make even greater savings. These days, growing any business needs to be done sustainably. Businesses cannot afford to ignore their impact on the environment, because their customers just won’t accept that.